Sea canestrelli are commonly eaten raw or on pasta. Italians like them gratinéed like the French do, but in that case they will more likely use the larger scallops, capesante. 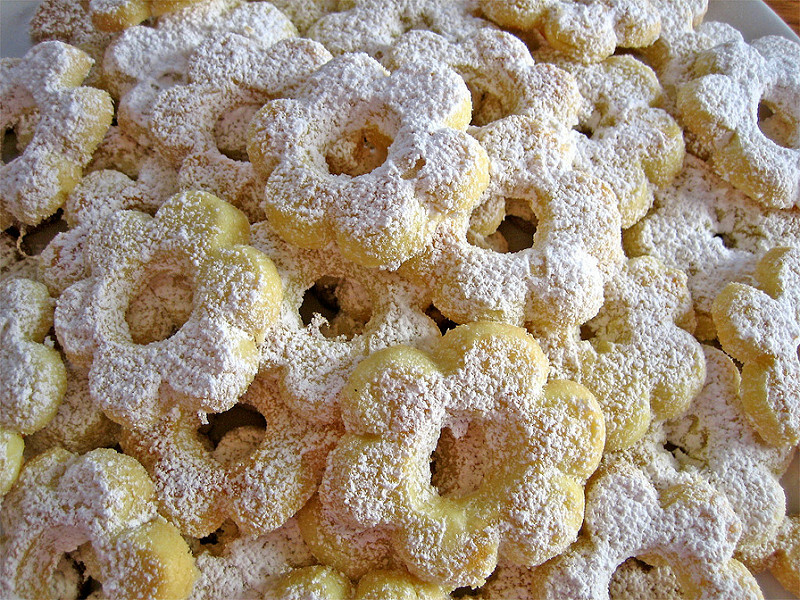 The other canestrelli are flower-shaped shortbread cookies that are also called canestrini and dear to the children of Piedmont, Liguria and Tuscany. Except sometimes in Piedmont they are chocolate wafers or waffles. And then there's canestrelle ('little baskets'), a completely different cookie, beautiful and excruciating to make; only grandmas can do it. And in parts of the south they sometimes say canestrelle when they mean scallops. Or when they mean shortbread cookies.